Microsoft limits unlimited OneDrive cloud storage. There are only so many clouds in the sky. I remember less from my middle-school Earth science classes than I should, but I do recall that there are many types of clouds. I can’t remember the different meteorological conditions that create them, but I’d like to believe I could still tell them apart, separating cumulus cotton balls from stratus’ steady waves. Now, Microsoft is backing away from that largely unprecedented (and impractical) vow. In its place, the company will be offering a service that does little to differentiate itself from its competitors. Top-tier subscribers will receive a single terabyte of storage, while others will be subject to more extreme restraints. A blog post by the OneDrive team explains that it’s making these changes after some of its unlimited subscribers each uploaded more than 75 terabytes of data to its servers. For those of us who grew up jealously counting mere megabytes, this number is almost thinkable: To put it in perspective, Slate’s Doug Harris pointed out that the average size of a Blu-ray movie is around 5 gigabytes. To fill 75 terabytes, then, those users would have had to upload somewhere in the neighborhood of 15,000 films. In this light, it seems unlikely that the customers who prompted this change were simply engaged in “extreme backup scenarios,” as OneDrive’s blog post suggests. To the contrary, it’s entirely possible that this “small number of users” were actively and consciously trolling Microsoft, testing the limits of their “unlimited” promises. Some have responded to the announcement with the Internet cliché “This is why we can’t have nice things,” and it’s tempting to fault the 75-terrabyte gluttons for the changes. But the real blame probably falls on the company itself. Can it really have expected that no one would take advantage of its promise to offer unlimited storage? Whether or not those 75-terabyte tyrants weren’t deliberately provoking the company, weren’t they within their rights? If Microsoft didn’t anticipate this development all along, it probably should have. OneDrive’s blog post euphemistically suggests that it is making these changes “in pursuit of productivity and collaboration,” though it never makes entirely clear who is productively collaborating with whom. It does, however, add that it will help “make OneDrive the best option for people who want … to do more.” Given that it leaves the service looking like almost every other of its kind, it’s not immediately clear how it intends to do so. 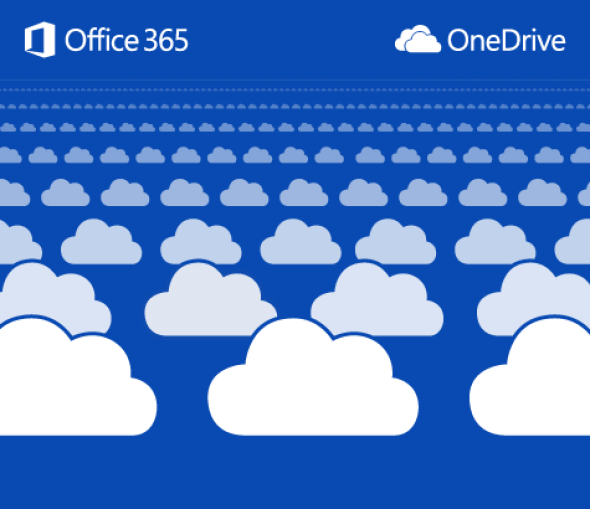 OneDrive is now just another cloud.